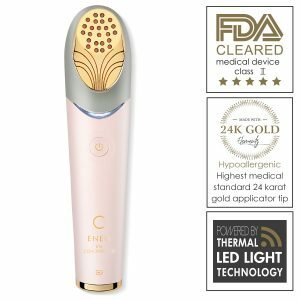 This unique second-generation technology gives you immediate and long lasting anti-aging results clearing almost any impurity in facial skin appearance: fine lines, wrinkles, pigmentation, enlarged pore size and discoloration, can now be targeted immediately. 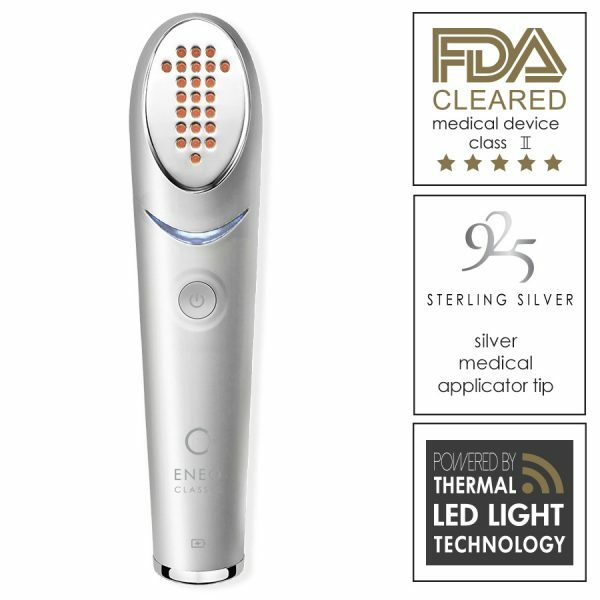 ENEO uses dual wavelengths of 633 and 830 nanometers with precise penetration to the dermis, enhancing the anti-aging treatment by use of 925 silver and detox blue light; it may be used on any area of the face. These combined technologies ensure sustainable facial skin rejuvenation results with minimum effort, no side effects and no allergies. Clinically tested, safe, effective, and dermatologists recommended, suitable for all skin types and tones. cleanse the skin with an oil free cleanser, removing an make-up, oils or other impurities. Once done- dry your skin. After treatment, it is recommended to apply a moisturizing cream on the treated skin areas. Am so glad that I purchased Avologi Eneo Classic, I have always had problems with my face, but the spots and wrinkles are now slowly disappearing. I look so young nowadays and I can now walk with confidence. My face had wrinkles that I was not comfortable with, I tried many products but they never helped until a friend introduced Avologi Eneo Classic to me. After 3 months of usage, the wrinkles are slowly fading away and am very happy. I can confidently refer all my friend to buy Avologi Eneo Classic. I have sensitive skin and other devices didn’t work with me. However Avologi Eneo Classic come to my rescue, all skin pimples are slowly fading. Avologi Eneo Classic just delivered the results I expected my face is now growing smoother and the wrinkles are now disappearing. Last year December I bought Avologi Eneo Classic for my wife as a gift after I realized she was really troubled by the wrinkles developing on her face. Today I always to walk around with her, her face is now smooth, with fine tone and lines are fading. She’s delighted with this product. The long-lasting results provided by Avologi Eneo Classic is what stood out for me after using it for 5 months. Thanks for the technology. I have been using Avologi Eneo Classic for 4 months now and I can’t complain. I am happy now that I have regained my beautiful, clear skin tone. 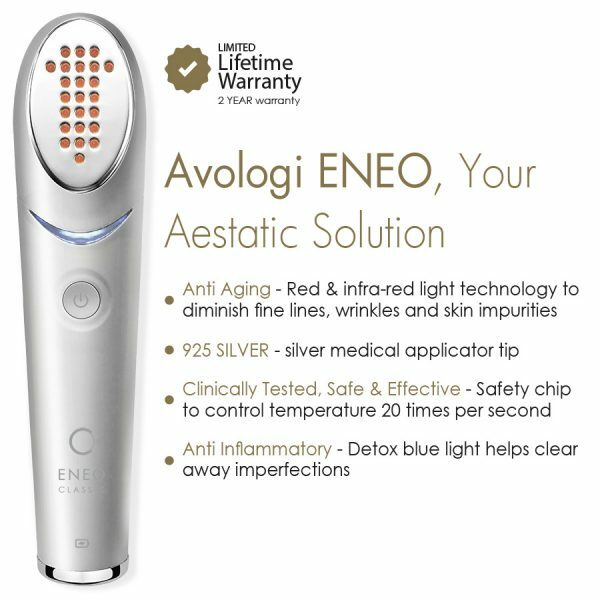 I had tried to use other anti-aging products but they never helped, I can confidently recommend anyone to buy Avologi Eneo Classic for excellent results. What amazes me about Avologi Eneo Classic is the fact that it’s easy to use and delivers what the manufacturer promises. At first, I was afraid of using any anti-aging device after I tried one and messed up my skin. When I heard of Avologi Eneo Classic and read reviews, I decided to give it a try. Today I can confirm that it has helped me regain my smooth skin tone just after 3 months of using it. Thanks for this product. Am amazed how this Avologi Eneo Classic, is working for me. The wrinkles on my face were giving me sleepless nights but now they are fading, am just happy. I have used different anti-aging devices that did not last for long. I had to replace them from time to time and I didn’t attain the results I expected. For now, I have used Avologi Eneo Classic for the last 5 months and the device is still in excellent condition. My skin tone is also improving and I don’t see myself using any other anti-aging device, only my Avologi Eneo Classic. I doubted the product for being reasonably priced, but now I can confirm that it worked for me and my skin is growing prettier. I have always been a makeup girl all my life. I could never leave the comfort of my home without my face all done. All this was a means to conceal my blemishes. During my graduation, someone gave me Avologi Eneo Classic as a gift. That is how I knew of its existence. I used it following the given instructions and by the lapse of one month the blemishes had started fading away impressively. Avologi Eneo Classic is the best product I have used to get rid of my uneven skin tone. I have used many toners and some made me regret trying them. The sensation felt on my skin when using it makes the whole process exciting. I have been using Avologi Eneo Classic as my home care for my face and neck. I have used it for three months now and my face and neck have a clear even tone. It’s a shame when the harsh weather distorts your face and the difference in skin tone showing by the contrast on the face and neck. Avologi Eneo Classic has given me the confidence to wear my low neck tops again. I was hesitant to start using Avologi Eneo Classic because I did not want to have a worse off skin. This was due to the fear of getting it wrong again. I love my skin despite its challenges so I am cautious of any product that I introduce for use. Accepting to use the Avologi Eneo Classic was the best skin care decision I have ever made. I love my tender skin so much. Some people are not bothered by deep seated laugh lines but they were a major concern to me. I have tried to eradicate them with creams and other products that seemed promising. They worked on my other areas but the laugh lines remained unchanged. Since I discovered Avologi Eneo Classic, they have started fading away. 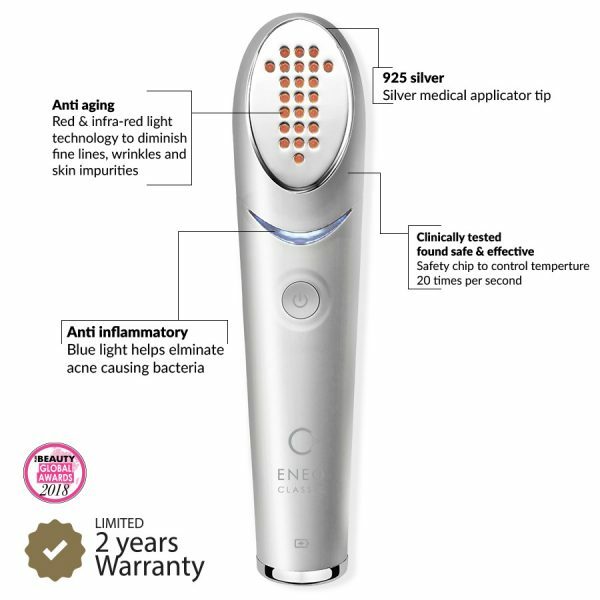 The amusing factor with the Avologi Eneo Classic is its ability to give skin and facial rejuvenation results that are suistainable.Unlike other products that tend to cover the skin problems and do not erase them completely. 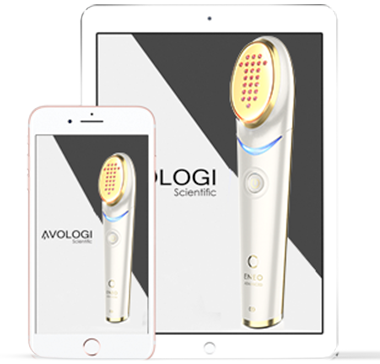 With the Avologi Eneo Classic the rejuvenated skin that this device gives is sustainable when you ensure you use the device for some time. I love the Avologi Eneo Classic for its so easy to use.i do not need any assistant to take me through the sessions. I just do them myself as I enjoy the heat that comes from it. I read the manual given and understood everything I need to do when using it. I highly recommend it to everyone out there. You do not have to use so much effort to fix your skin problems. 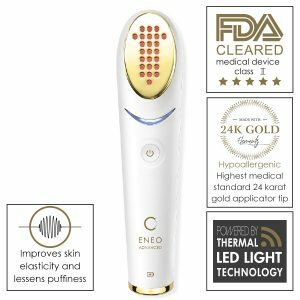 The Avologi Eneo Classic has catered for the complicated skin care procedures for me.I can get my skin soft and hydrated all day by using the device.It requires the most minimal effort to get your desired skin results. I am a freelance photographer so I spend most of time out under the extreme weathers. This has affected my fry skin a lot. It has been dry and rough. The Avologi Eneo Classic came in to save my skin from this elements.My skin does not have pigmentation anymore. I am so grateful to Avologi Eneo Classic right now. My skin feels tight now. I am now comfortable when working because I know I have the best treatment in my house. The wrinkles on my face were just too much. I definitely needed to do something about it. I tried most products that were deemed to be anti-aging .My money run out but my wrinkles remained. Its only when I started using Avologi Eneo Classic that they have started fading away.